D'Holbach in Madrid or The Return of Enigma Bibliographica ! A proof of this is this book published in 1819, commissioned by one of our predecessors who had also fell in love with the Iberian Peninsula: a rare Spanish edition of “La Morale Universelle” by Baron d'Holbach, commissioned by Guillaume Denné, a Parisian librarian who settled in Madrid at the beginning of the 19th century. 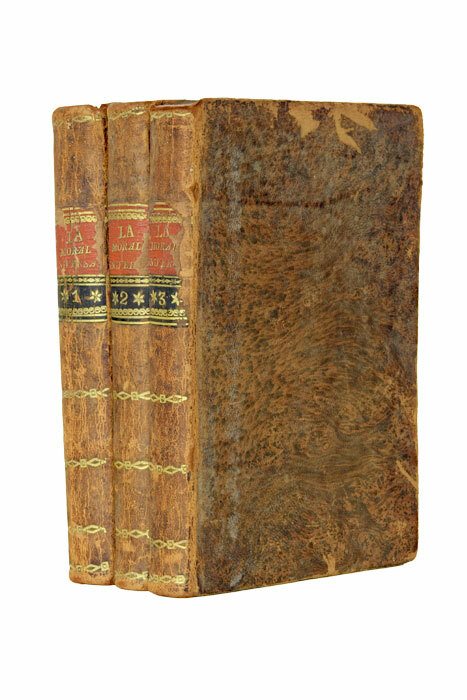 Printed by the famous typographer Jean-Baptiste Pinard in... Bordeaux [in french, “pinard” is slang for cheap wine], it is a counterfeit edition of a translation initially published in the Spanish capital, dated 1812. The nephew of a Parisian bookseller who had been imprisoned at the Bastille because of his illegal publications, our bookseller had specialized in the importation of French works censored in Spain. Obviously, the dissemination of the book was not easy: the injured translator denounced the fraudulent edition, and the Spanish authorities not only ordered its destruction, but the translation itself was put on the Index by the Spanish Inquisition ! We certainly donnot condone the fraudulent activities of the French bookseller, yet one is forced to admit that his was a genuine love for books, a love which knew neither boundaries nor limits ! 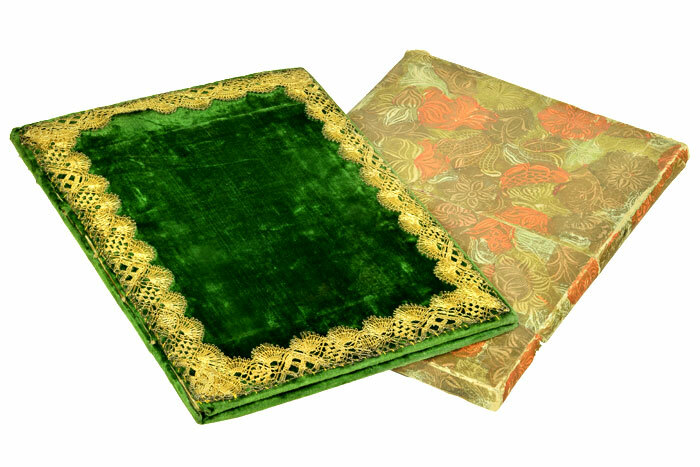 The most faithful of our readers may remember the “Enigma Bibliographica” which we published a long time ago, and which we have decided to revive ! We will regularly ask for your help with the mysteries we sometimes cannot resolve... If only you are willing to take the challenge ! 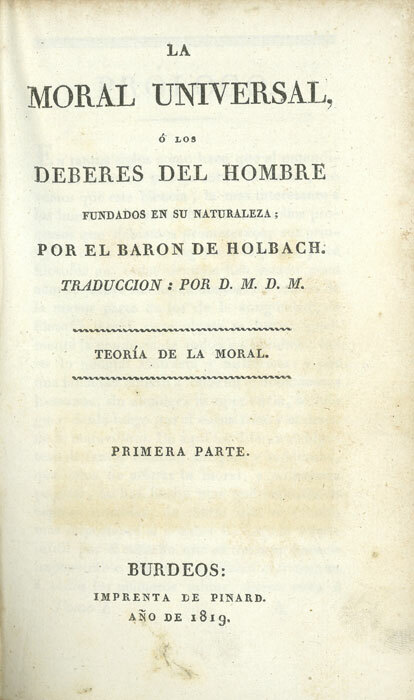 In this case, it seems to us the Spanish publication of D’Holbach’s materialist breviary may not have revealed all of its secrets: indeed, why does the venerable Palau make no mention of the first edition dated 1812 (of which many copies have been conserved), and why does he quote our Bordeaux edition as the first Spanish translation of this text ? What’s more: if this translation was first published in 1812, why did it take until 1821 for the Inquisition to examine and condemn it ? Book lovers, bibliographers extraordinaire, scholars of all trades, here’s your challenge !